Dear Auckland Residential and Commercial Property Owners. 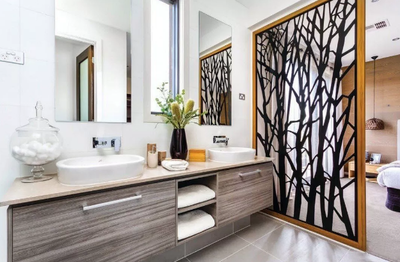 If you are planing to renovate your bathroom and have a vision of how your gorgeously renovated bathroom should look like or you have no idea about it and you’re not sure where to go, Give Alchemy Bathroom Renovations Auckland a chance to turn your imagination into reality. 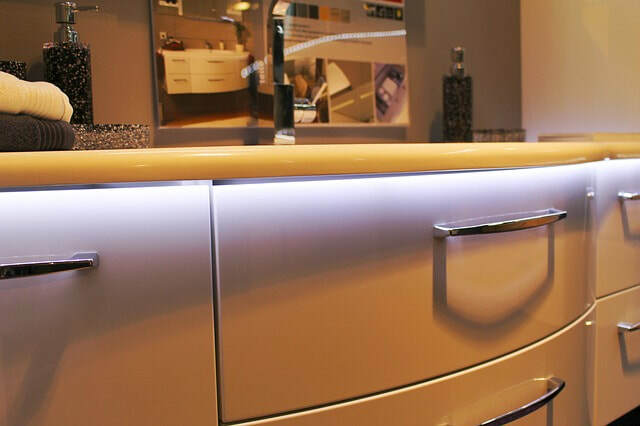 Our team has done hundreds of bathroom designs and refurbishment projects. With over 27 years of industry experience we have some great modern ideas & designs. We specialise affordable bathroom renovations. We are the experts in our craft. Extremely professional, you’ll love having us in your home. Able to discuss all aspects of bathrooms restoration with our clients. Delighted to form good customer relationships with new and long-term clients. Tidy and clean, so there is no mess left behind. Expert at quick upgrades, while keeping quality at a high standard. ​Once the client has a particular vision in mind, we will do our best to bring that vision to reality. 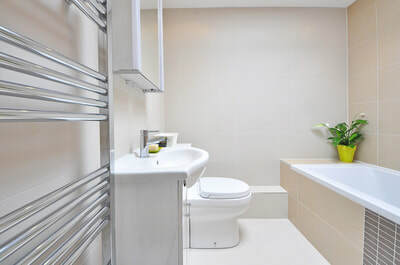 A really well-done bathroom refurbishment can add to the price of your home if you ever want to sell it. 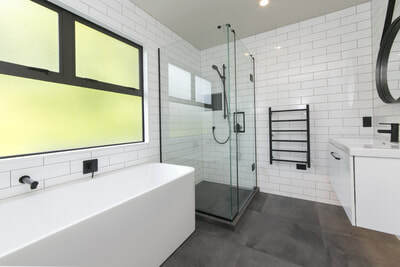 Refurbishment of a bathroom combines the services of many trade professionals, including: builder, architect, plumber, interior designer, electrician, carpenter, flooring specialist, waterproofing specialist and painter. We are able to provide all of these specialized services in one super-competent team. We have no trouble integrating all of these aspects into the plan that our clients have in mind. 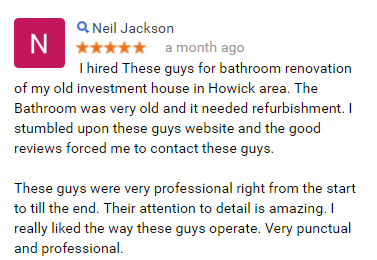 We like to work as closely as we can with our customers to make sure that we really are renovating their bathrooms to their specifications. We pride ourselves on being excellent contractors. Shower & bath, shelving, tiled floors, windows, shower and bath curtains, mirrors, vanity, sink, plumbing, lighting, cupboard and storage etc.. all of these fittings are needed in bathroom. 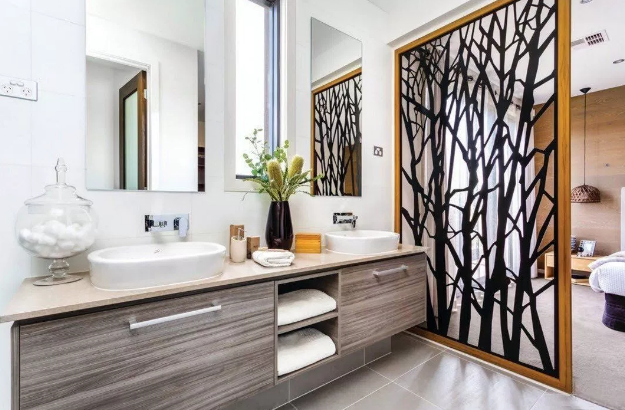 Most people like their bathrooms to reflect the qualities of cleanliness and freshness, because that is how they wish to feel when they emerge from this part of the house. It may also be decorated in a feminine or masculine style, or a family-living style. 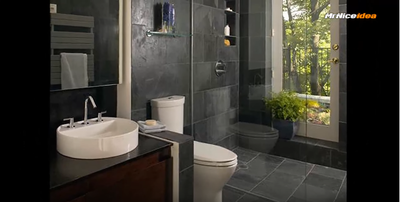 Bathroom renovators Auckland also install bathrooms that are simple and functional and easy to keep clean. Well, There is a special process we offer to make sure the bathroom is completed on time and we meet all of the quality standards. We will make sure the job is completed in a smooth and seamless manner. You will get a free in home consultation with the project manager. This will be the time to ask questions, share your ideas, designs & budget. Our team will take measurement & notes. Once you have decided on your design, we will start the process of preparing a quote for the job. We will give you a free quote outlining the costs of your project. We will provide you all the flooring, tiles and fitting options available. Here you will have the option to either go for the products we have recommended or you can choose your own from the suppliers we work with. We have wide variety of products, styles & designs to suit your needs and budget. Once you are satisfied with the design, we will make the project official by writing up a contract. The contract contains the quotes and everything needed to complete the job. It will also cover the time it will take to complete the job. Before starting we will put protection covering over the bathroom floor on which our tradies will need to walk on to complete the job. We will take down things that need to be removed from the bathroom. We will carry everything out of the bathroom in skip bins. If needed we will remove water pipes and electrical lines in the construction area. We will start the carpentry work at this time. We will put down a waterproof membrane where needed. We will also include a waterproofing certificate with the final documents. We have professional that will plaster and paint the walls where needed. We will have our tile installers lay down the tile flooring, grout, and calk to make sure the tiles will stay in place. The professional team will install fittings, cabinets, and other fixtures that will be used in the bathroom. They will be properly securely fitted. Once the construction is done all debris will be removed. 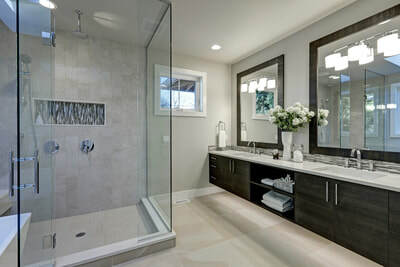 We will make sure you are happy and satisfied with your new bathroom.. We will give you a completion package that has all paperwork and guarantees. What Is the Cost of Bathroom Renovation Auckland? We are here to discuss costing with our clients. We offer No obligation quotes. The customer’s budget is also taken into account as we allocate a cost for each stage of the process. There are many attractive & interesting choices that can be made at three levels of refurbishment. These include the low cost, the moderate cost and the high cost levels . 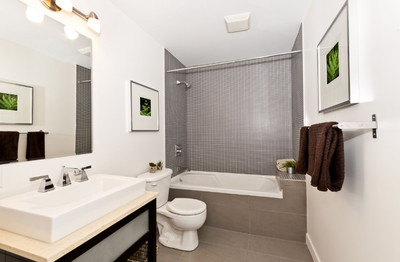 Our service includes everything from bathroom design to repairs and installation. Our expert team can help you find the perfect layout, materials, and fixtures for your new bathroom. 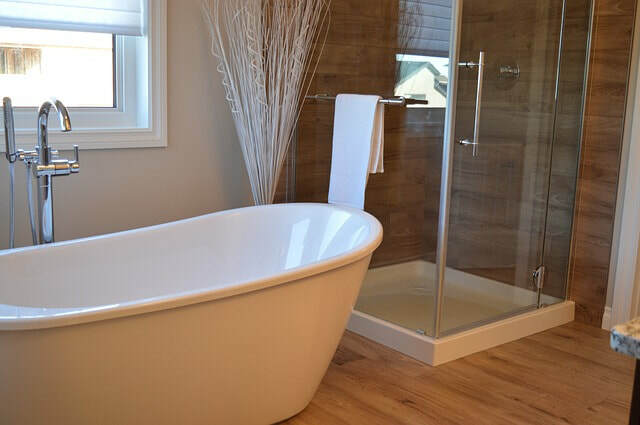 What are the Benefits of Bathroom Remodelling? There are numerous benefits, but they depend on what is actually done. If it is a complete overhaul, then you will experience the comfort and convenience of brand new flooring, shower, bathtub, bathroom sink, lighting fixtures, and toilet. It will make the entire home feel new in some sense. However, even if you opt for partial restoration, you can rest assured that any leaks or other damage can be repaired, and that you can enjoy a hot shower or bath without worrying about water damage or the discomfort of excessive mold and mildew growth. 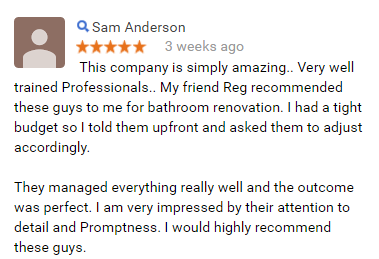 We can make sure that your new bathroom lives up to your expectations. Call us today for complete bathroom remodelling services. Interior design is a part of the aesthetic side of things, and the reason of renovating bathroom is to make it look fantastic. Therefore, the interior design is crucial part. A bathroom should feel comfortable no matter how elegant or stylish the interior design is. 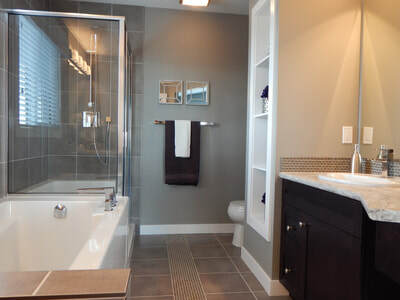 The primary goal of beautifully renovating bathroom is to make the customer feel happy. Our team specializes in high-end design and fixtures. Nevertheless, our bathrooms never look cluttered. We recognize that a bathroom is usually a small area of the house, but it should never feel cramped. We have a strong knowledge and experience of how to make a bathroom appear larger and brighter than the original room, by installing glass windows and having the walls painted in lighter color. The aspects of heating and ventilation are also considered, as we ensure that your bathrooms are always a nice place to relax. Our plumbers are experts and are able to handle any type of job, For instance, if the client wish to repair the existing plumbing, or to install new taps, showerheads or toilets, We can handle all. Leaks may also need to be repaired and re-sealed. In the internal wet areas of a bathroom, leak-proof membranes may need to be installed. These prevent the floor remaining or becoming damp during periods when no one is using it. The bathroom’s drains and pipes may need repairing and/or replacing. We do it all. Tile is a common choice because it is waterproof. A tiled floor will need to be installed by professional tiler. We have the best tilers in our team. We have a team that is fully prepared to handle the task of rebuilding old bathroom. We are fully licensed, and insured . 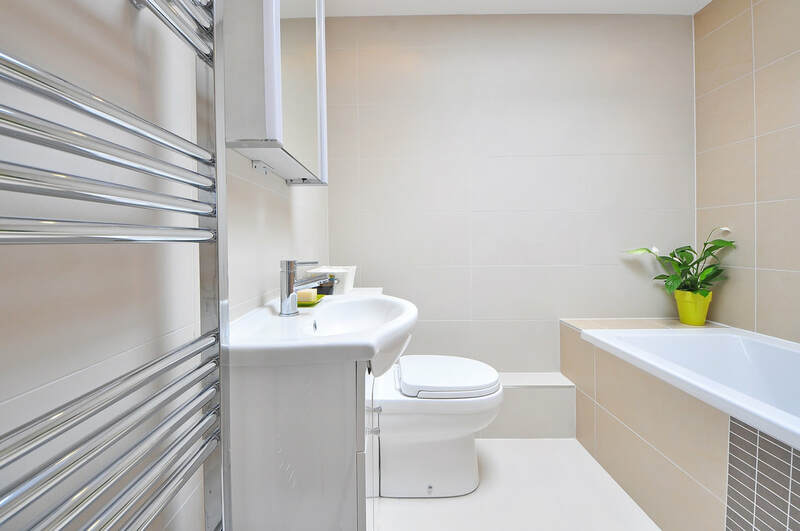 Storage is also an important feature of an aesthetically pleasing, yet functional bathrooms. We will install awesome vanity cabinets based on your requirements. We have a variety of storage systems that can be installed, to match the clients’ choices. 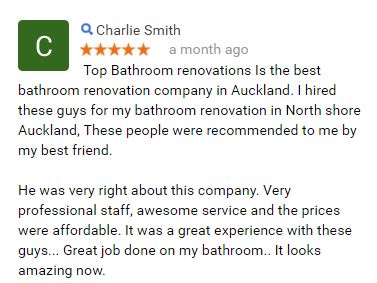 We are the most expert and trusted bathroom renovators in South and East Auckland. We are proud to offer our services. Images and great reviews for our company can be found on the internet. We also serve Auckland central . Reasons to Consider Bathroom Upgrade ​? ​How Long Will the Upgrade Takes To Complete? When it comes to the upgrade of any part of your home, you need to entrust the work to a reliable, professional company whose workers and technicians can complete the job with quality in mind. Our technicians are not only plumbers but also builders who can complete any modification you may need to your bathroom. The most important thing on our mind, however, is your complete satisfaction. We’ll guide you through every stage in the process so that the job is completed on time and within budget. ​Mold and mildew - One of the most prominent reasons to overhaul your bathroom is because of an excessive amount of mold and mildew growing in your bathroom. This may not only be what is visible on the surface of the bathroom tile, but also what lies under your shower and bathroom sink. The severity of water damage can vary, but it’s often cause for restoration. Design and layout- If you have just moved into a new home whose bathroom is anything but comfortable, you may want to invest in your home with a bathroom upgrade project. Whether it’s the downstairs one for the kids and guests or the master bath attached to your bedroom, it needs to be pleasant. Switching around the piping and putting in new fixtures can make all the difference.